Team Fiji women’s rugby sevens head coach Chris Cracknell in Rio de Janeiro, Brazil, yesterday. Photo: Bruce Southwick/ZoomFiji. 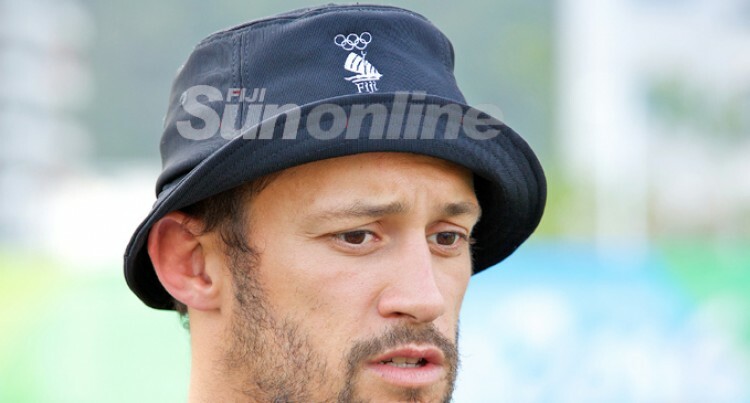 The Team Fiji women’s rugby sevens side are ready to face USA in their Olympic Games opener at Deodoro Stadium on Sunday. The challenge was issued as soon as they arrived in Rio de Janeiro, Brazil on Wednesday. Fijian women’s head coach Chris Cracknell said a different feeling hyped up the players as soon as they entered the games village. “It was just a different atmosphere and we can see it in the girl’s eyes that they are so eager to jump onto that field of play,” the former England rugby 7s captain said. Cracknell believes they have ticked all the boxers in terms of their preparation and are now waiting for game day. Grouped alongside favourites Australia, USA and Colombia, Cracknell says, they will stick to their game plan. “We just going to do what we can do, play our game plan, not worry about opposition too much, pool is a pool. The girls are in the best place they can possibly be and it’s about going on with it and getting the job done,” Cracknell added. Just like other sports the women rugby players are also making sure that they are not get carried away by the distractions around the Olympic village, especially the food served in the dining hall. The coach is impressed of the girl’s achievement in Chile. “Our last 10 days in Chile has been fantastic the weather was cold but we have achieved what we wanted to achieve and coming to Rio the weather here is just like back at home and we love it,” he added.